Can you believe spring is upon us already? I'm so glad!! 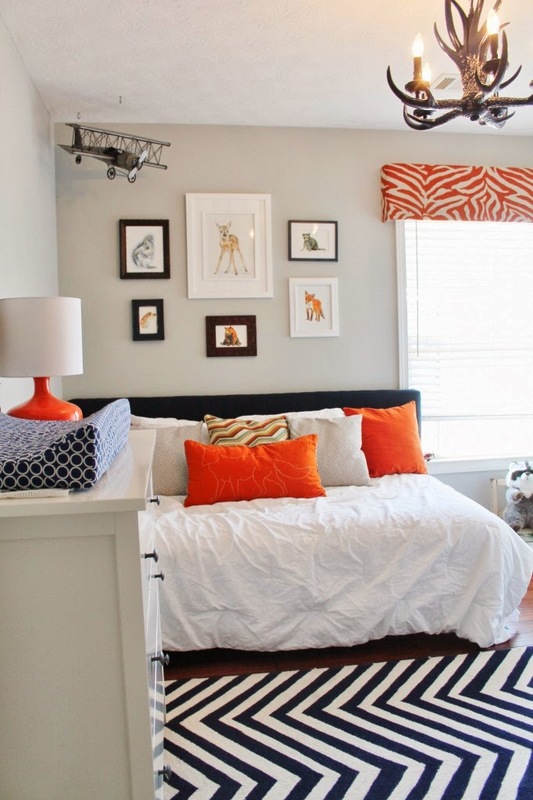 First up, I'm in love with this orange and navy nursery reveal from Simply Salvage. It's just darling! 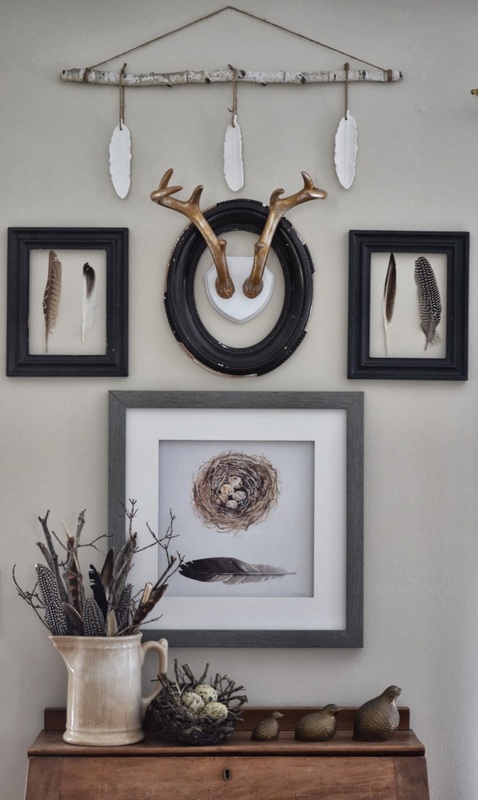 Gallery walls are one of my favorites...and this feather gallery wall shared by Shabby Love is no exception. It's just perfect for spring! 2. Please link back the Shabby Nest (you can use the pretty button on my side bar to make it easy.) I only feature projects in my Frugal Round-up that link back to The Shabby Nest. I have passed up some great features because they didn't link back..so please use common courtesy and return the link! Yay for spring! Thanks so much for hosting! Have a great night. Thanks for another great party - hope you have a wonderful Spring like wknd! Thanks a bunch for the party, Wendy!!! Have a great weekend! Happy Spring and thank you for Frugal Friday Wendy. Happy first day of Spring Wendy and thanks so much for hosting. How is it Friday already?? Thx for the party and Happy Spring! Thanks so much for hosting! Happy, happy Friday! Thanks for hosting Wendy! And, happy spring!! Thank you for hosting an awesome party! Wendy, thank you so much for hosting and for featuring my gallery wall!! What a great surprise!!! :) Have a wonderful weekend! Thank you for hosting, Wendy. Have a great weekend. Wow, this is a great party, bursting with inspiration and ideas. Thank you. I'm now following your blog so I don't miss it next week. Happy Spring Wendy and thanks for hosting! Thank you for sharing and thank you for hosting! Happy Spring!